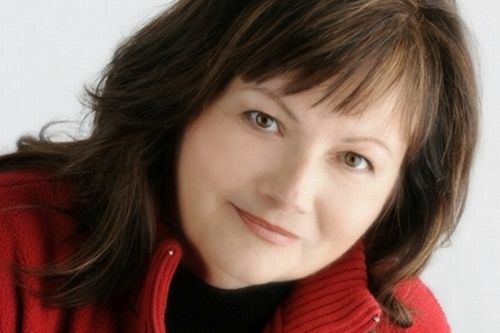 Debra Webb is an American author of romantic suspense novels. She writes the Colby Agency series and the Faces of Evil series. Webb grew up on a farm in Alabama and was taught by her parents that hard work pays off. Debra was coming up with stories from childhood and continued after she got married. Finally, she sold her first novel in 1998 to Kensington. She has won the Romantic Times Career Achievement Award as well as two RT Reviewers’ Choice Awards. Silence is “book 0” in the Faces of Evil series and should be read first. Notes: Double Impact also contains stories by Tess Gerritsen. Mysteries Of Lost Angel Inn also has stories by Kathleen O’Brien and Evelyn Rogers. Epiphany also has stories by Rita Herron and Mallory Kane. A Nascar Holiday also includes stories by Kimberly Raye and Roxanne St. Claire. A Very Nascar Holiday also has stories by Nancy Warren and Gina Wilkins. Bet Me also has stories from Catherine Mann and Joanne Rock. My Evil Valentine also includes stories by Regan Black, Kathy Carmichael, Rita Herron, Vicki Hinze, V.R. Marks and Peggy Webb. The Dangerous Protectors, Specialists: Heroes Next Door and Colby Agency: Family Secrets series are co-authored by Regan Black. The novels Marriage Confidential and Reluctant Hero were written with Regan Black. Debra Webb Synopsis: In The Doctor Wore Boots by Debra Webb, Ty Cooper felt as if he were a big brother to Leanne Watley… Then when he came back from a business trip, suddenly a romance developed. Dr. Dex Montgomery wasn’t planning on falling in love and definitely not with his twin brother’s neighbour, but Leanne was a breath of fresh air for the good doctor. The only thing is, Leanne felt she had found her match.